Have you been convicted of a felony in the past 10 years? If "yes", where and when? 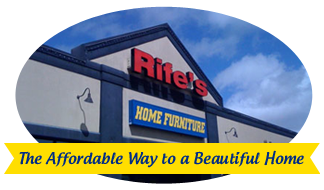 Rife's Home Furniture may require, depending upon job duties, a medical examination and if I am offered employment I agree to submit to a medical examination before starting work. If employed, I also agree to submit to a medical examination at any time deemed appropriate by the Company and as permitted by law. I consent to such examinations and tests, and I request that the examining doctor disclose to the Company the results of the examination, which results shall remain confidential and segregated from my personnel file. I understand that my employment or continued employment, to the extent permitted by law, is contingent upon satisfactory medical examinations and drug test, and if I am hired a condition of my employment will be that I abide by the Company's Drug and Alcohol Policy.